An essential part of Queensland’s economy is agricultural production, and in South East Queensland (SEQ) it contributes to over $1.2 billion and makes up 13 percent of the state’s agriculture commodities. The SEQ landscape is made up of 55 percent farmland, however rapidly increasing environmental pressures like population numbers and urban development are placing the region’s rural areas under threat. To help protect and sustainably restore the management of rural properties, the Healthy Land and Water Sustainable Agriculture initiative involves working closely with SEQ landholders. The initiative promotes the importance of maintaining healthy soils, productive agricultural landscapes and reducing the amount of soil nutrients that are washed into our local creeks and rivers where it pollutes the water and threatens habitats and native marine species. 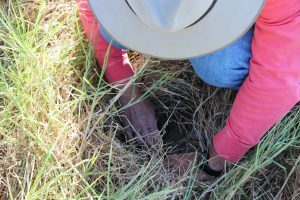 We work with farmers to better understand their property goals and recognise the important role they play as stewards of the land by providing information, training and advice on ways to improve the condition of soils, pastures, native vegetation and waterways. By encouraging local landholders to adopt best management practices on their properties, we are helping to build healthy soils, improve water quality, conserve natural ecosystems and protect our productive agricultural lands for future generations. 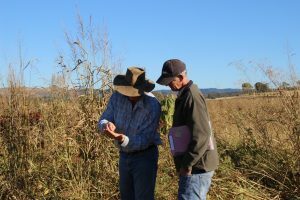 Through partnerships with state government and industry groups, Healthy Land and Water delivers a range of project and programs that run under the Sustainable Agriculture initiative including, the Regional Agricultural Landcare Facilitators, Improving Land Management Practices and Grazing Best Management Practices.